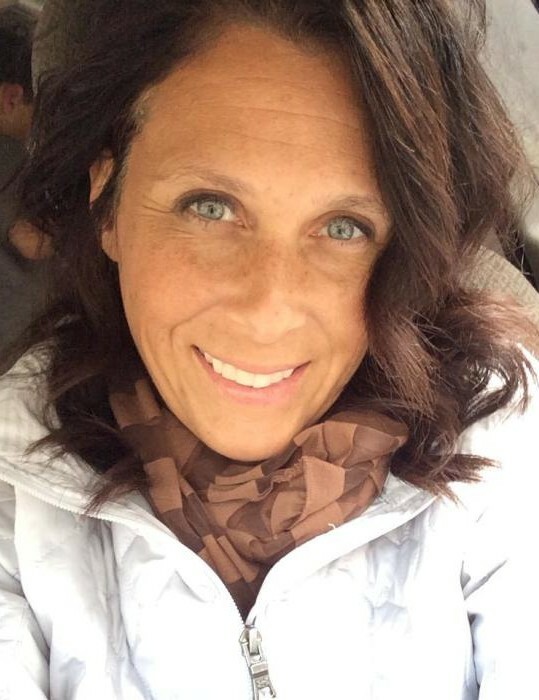 Obituary for Tracy Marie (Rinock) Shanley | Stone Funeral Home, Inc.
Tracy Marie (Rinock) Shanley, 48, passed away peacefully at home on February 4, 2019. She was born August 18, 1970 in Petoskey to Dennis and Donna (Lyons) Rinock. Tracy graduated from Petoskey High School in 1988. She worked as Store Manager at Maurices for over a decade, and went on to work over another decade in medical billing at Bay View OB/GYN, both in Petoskey. She lovingly raised her family with her husband, Kirk, for 18 years in her hometown. Tracy had an infectious smile and a heart of gold. Her happy place was simple – time with family, outside in nature where it was warm and sunny. She was also an amazing artist who used her creative talents to craft hand-made jewelry and donate the profits to people in need – paying medical bills for single mothers and sending kids to summer camp who otherwise couldn’t afford it. One thing we’ll always remember is Tracy’s tremendous zest for life. Her competitiveness revealed itself during sports and bargain hunting. If a game was on – from Red Wings to Tigers to Wolverine football – Tracy rarely missed it. She could bargain shop like no other. More than once she was known to come home with a lifetime supply of something that, in the end, the store literally paid her to take. Tracy always made the best of everything, touching so many with her determination to never give up – even in the most difficult circumstances. Her demonstration of strength and faith has left an indelible mark on many, which was evident in the outpouring of love and support she received from family, friends, and even strangers, near and far during her last years of life. She is survived by her husband Kirk, and three children Amanda (Brett) Hutcheon, Synjin and Zander Shanley; her mother Donna Rinock, and sister Angie (Mike) Harrier. She was preceded in death by her father Dennis Rinock. The family would like to thank all the kind souls - medical, personal and spiritual - who made Tracy’s time on this earth as comfortable as possible. Visitation will be held at Stone Funeral Home of Petoskey on Friday March 1st from 6-8pm. A Celebration of Life service will be held on Saturday, March 2nd at Petoskey United Methodist Church at 11am. There will be a visitation one hour prior to service and a luncheon following. In lieu of flowers contributions to a 529 college fund for the kids would be very appreciated and a great honor to Tracy. Contribution checks can be made out to either MESP or Kirk Shanley, and mailed to Kirk Shanley, 4608 Pickerel Lake Road, Petoskey MI 49770.